Help detect fraud and deter employee theft as well as protect yourself from litigation with a well-designed camera system. 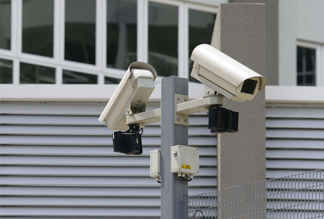 Closed Circuit Television (CCTV) and Network Video Management Systems (NVMS) allow for surveillance, communication, and safety and is a force multiplier for your existing security team for your facility. View all or selected areas of your property. Network based systems allow for large installations as well as remote properties, to be controlled from one location via a LAN/WAN network. In addition, a properly designed CCTV system can be integrated with your Access Control System. FTS has extensive experiance designing and installing the latest High Definition Network Video Recording Systems and Cameras up to 16 MegaPixels. We can assist you with all your CCTV and IP NVMS needs.